Vivo Y17 could be the next device to be launched in India. 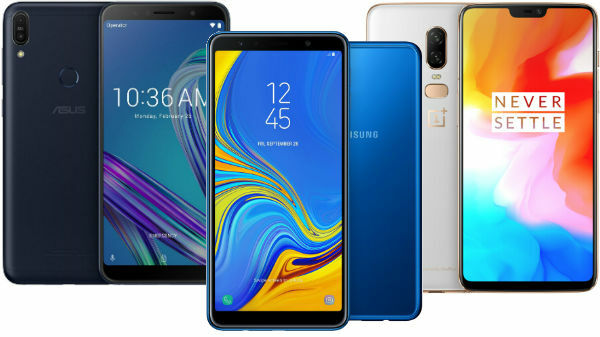 Earlier this month, there were reports that Vivo is all set to launch two new smartphones in the Y series in India during the IPL season. Later, it was speculated that the Vivo Y5 will be launched in the country this month and Y3's launch might follow later. Now, a report by 91mobiles claims that Vivo is in plans to launch a new device in the Y series allegedly dubbed Vivo Y17. 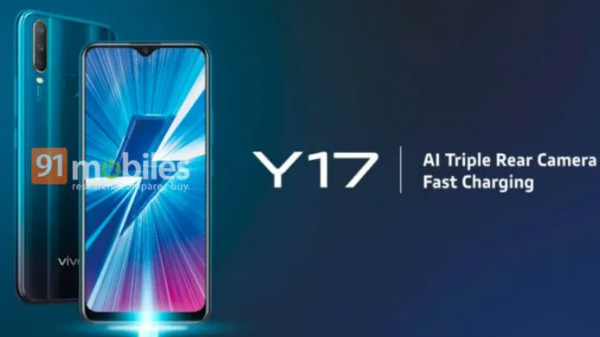 The report citing retail chain sources suggests that the Y5 will be launched as the Y17 in the country. 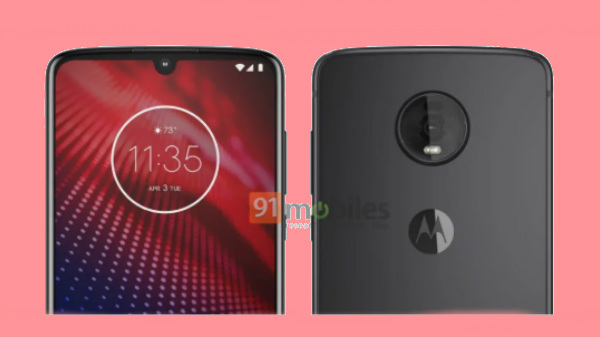 Besides claiming that it will be launched soon in the country, the report also shows the alleged first look of the smartphone via a promotional poster. As seen in the promotional poster above, the Vivo Y17 will arrive with three cameras at its rear and have fast charging support too. The three camera sensors are seen to be positioned vertically within a housing and the LED flash unit is placed below it. Also, we can see the rear-mounted fingerprint sensor clearly. Moving on to the front of this Vivo smartphone, it appears to have a waterdrop notch display to house the selfie camera and minimal bezels resulting in impressive screen space. Furthermore, it goes on stating that the device will boot Android 9 Pie topped with FunTouchOS and get the power from a capacious 5000mAh battery. As speculated previously, the Vivo Y17 is believed to feature a 6.35-inch display and employ a MediaTek Helio P35 SoC paired with 4GB RAM. The other details regarding its specifications are scarce for now. The report claims that the Vivo smartphone will be priced at Rs. 16,990. 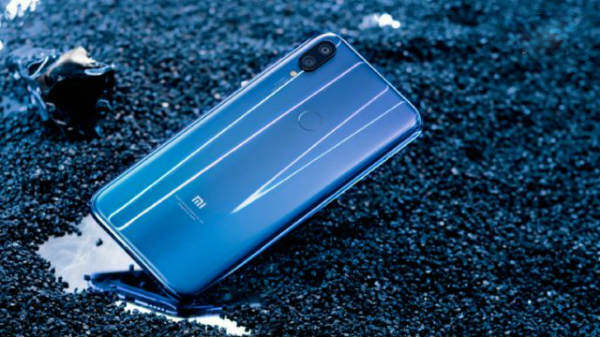 And, it is expected to be launched later this month though a specific launch date remains unknown. If this pricing turns out to be true, then the Vivo Y17 will be one of the most affordable smartphones in the market with triple cameras at its rear.